This roll of film was shot in March, but only processed a few days ago. 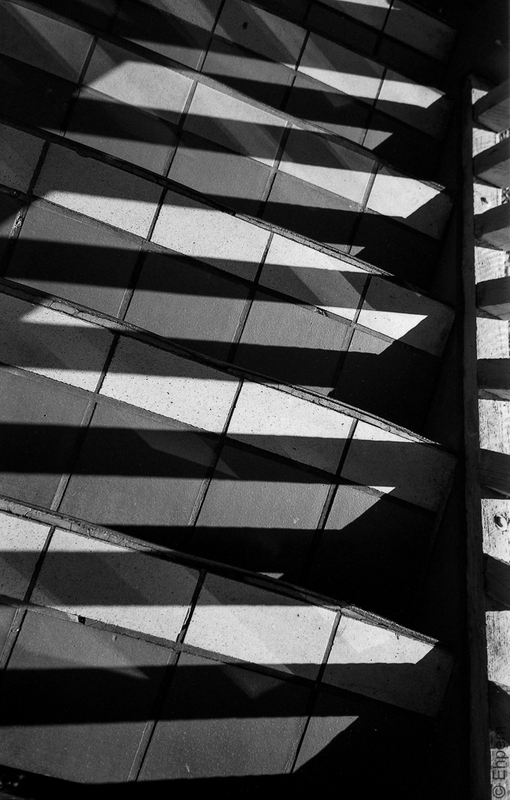 At that time I was taking a lot of shots of shadow patterns, mostly with the Olympus XA2. Thus photo was from the first roll that I put through the Olympus mjuii in 2015. Like much of that XA2 series is also shot in Market Square on sunny days. Olympus mjuii (Stylus Epic), Ilford Delta 100 Pro, commercially processed, scanned with Epson V700. Thank you Andy, I took a lot of shadow shots in this building as it has tiled floors with simple patterns and simple shadow patterns, but in combination some very complex geometry. This shot is from March, I wish we had some of this light right about now! Hi fariiisthaa – thanks for dropping by to comment, and the follow too! Your blog looks like its going to be good – some very nice photographs!